I have been lucky enough to work with some amazing people over the years. Whether it's a wedding or a portrait session, my approach and communication help ensure a great experience and even better wedding and portrait pictures. Here are just a few the kind words shared about my work. "Jerome is a consummate professional and without hesitation would recommend him to my clients. On the day of the wedding he is calm, goes with the flow when needed and very fun to work with. All of my clients that have worked with him were thrilled with their pictures and.loved his personality. Highly recommend to those looking for a talented photographer!" "Jerome is very professional, talented and patient. We had several children ( 5 months to 11 yrs) running around and women drinking wine due to the children running around lol.. He did a great job and captured exactly what I wanted. Then we got serious. I needed a couple of shots in my favorite rocker in my pasture with my horses bridle. When I saw the pictures in our review session I cried, a good cry. We will be using Jerome Pollos Photography again!!" 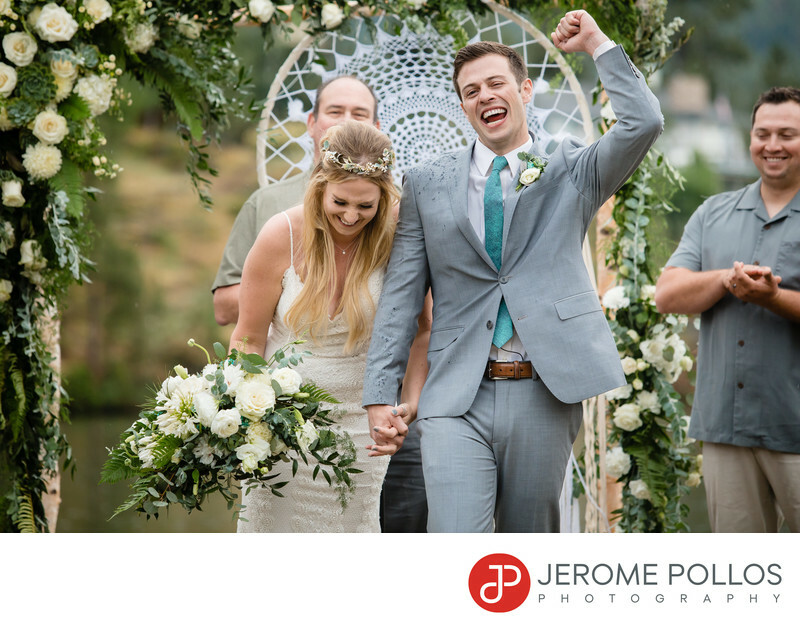 "As a wedding coordinator I can say working with Jerome is a positive experience. He is always on time, arrives prepared, personable with clients and their guests, and then professional about documenting the event with images that last forever. He captures the feel of the day not just the highlights. 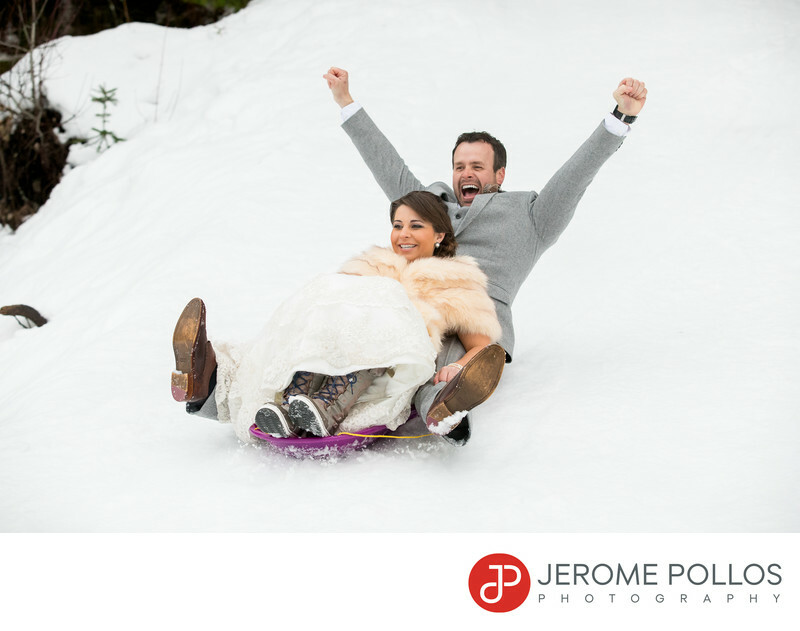 I recommend couples hire Jerome and ensure their memories are captured in a fun and limitless way." "Jerome's work is amazing! We found him on Wedding Wire, and later learned he'd photographed others we knew well, who spoke highly of him and his work. We contacted him just a few days after getting engaged and told him we were getting married in 6 months, so he met with us quickly! Over the course of planning our wedding, Jerome made every effort to get to know us well. It snowed during our engagement shoot, and he went beyond the expectations to get the perfect shots - he laid in snow many times! On the day of our wedding, Jerome captured our most cherished memories. He captured beautiful, intimate moments between my groom and I. I even had a first look with my dad, and he caught every happy, tear-filled reaction. He took such fun, lively pictures during the rehearsal, and went with the flow as he was pulled in every direction, to capture moments our guests requested. He was always with us, while being everywhere else at the same time. We also had the pleasure of working with his wife on our wedding day, as she accompanied as his assistant for the day. The two of them were the perfect addition to our most lovely day and we highly recommend them, and look forward to hiring him for other milestone moments to come!" 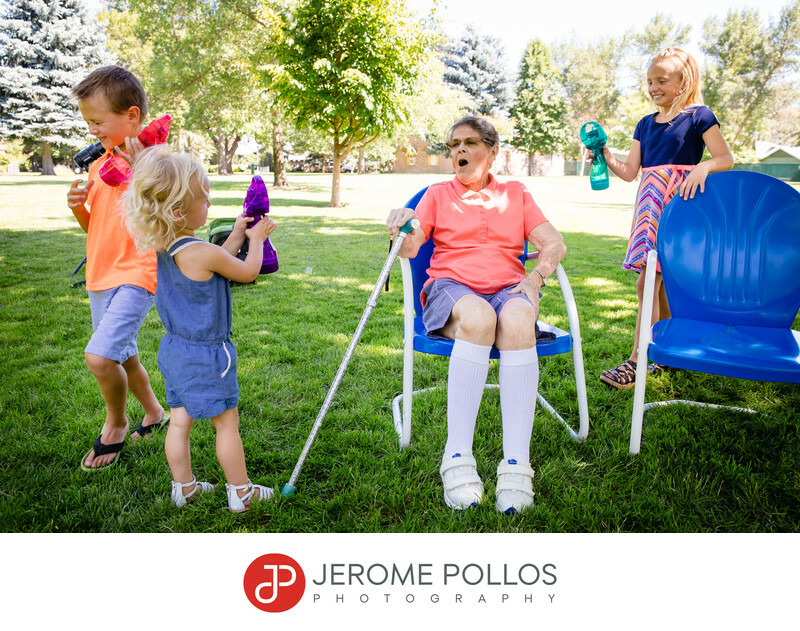 "Jerome has become a household name when it comes to photography in our family. We originally met him for my daughter's wedding and he was, accommodating by coming to our designation, flexible in streamlining his service to our needs, sensitive to our priorities and so personable. Recently my 89 year old mother ventured to Idaho to meet her 4th and 5th great grand children. The family reunion was captured by Jerome. Once again he made sure our expectations were met, streamlined the poses to meet our expectations and had so much fun with us as we played. He was able to capture some delightful candid pictures that capture our relationships beautifully. Now the BEST part of working with Jerome, is the review appointment. As I was deciding on my wall photos, he was positioning them on the computer and I was getting anxious about hanging the photos and getting the spacing and level line ups in real life. JEROME INSTALLS!! He is efficient, he is accurate and my wall of canvas photos with a collage of Black and Whites is a source of daily joy. Jerome takes his business seriously but his personal investment in his customer's vision and the friendship that he establishes with you through the process brings absolute success. I am thrilled with the wedding we started our relationship with 4 years ago and the documentation of my mother's visit to Idaho this summer. THANK YOU Jerome!" "After deciding to have an out of state wedding in Idaho, we began searching for a photographer. We looked at over a dozen websites. After seeing Jerome’s work, there was no one else we were remotely interested in having as our wedding photographer. We were not disappointed! Jerome captured our special day with beautiful photographs. We loved how he took our ideas and ran with them, but also how creative he was with backdrops and posed, as well as candid shots. He exceeded all expectations. 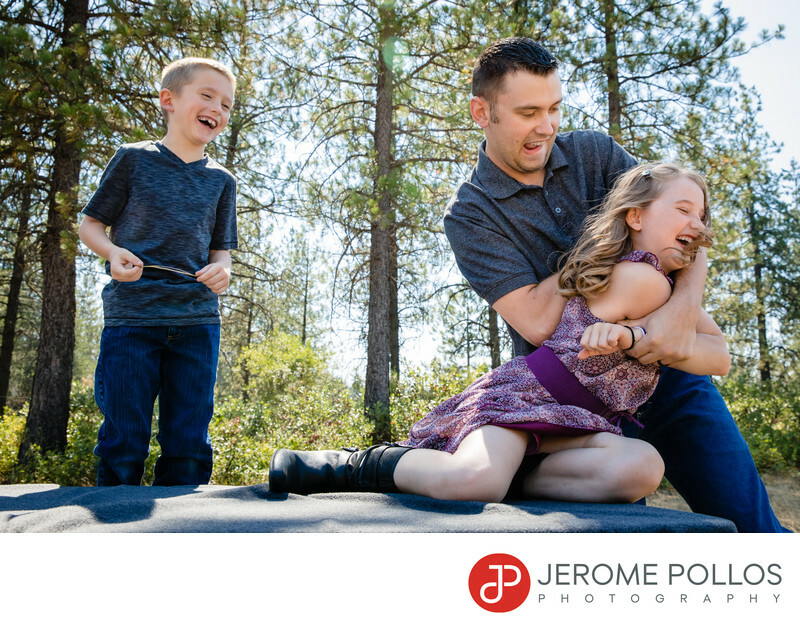 But our favorite part of having Jerome as our photographer was how personal he is; we loved how he and is wife took time to just hang out with us and our families! Our only complaint is that he gave us too many amazing photos, so we can’t decide which ones to enlarge for our home! 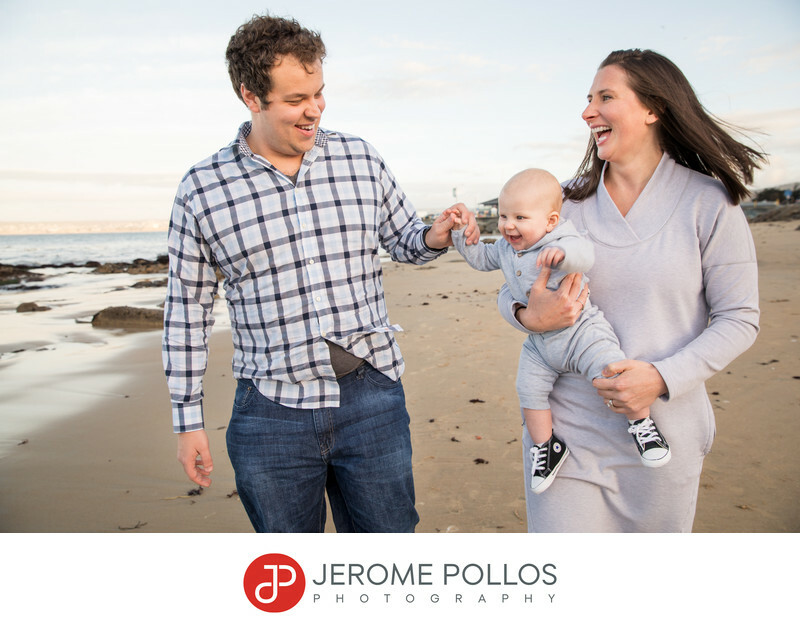 We would highly recommend Jerome as your photographer!" 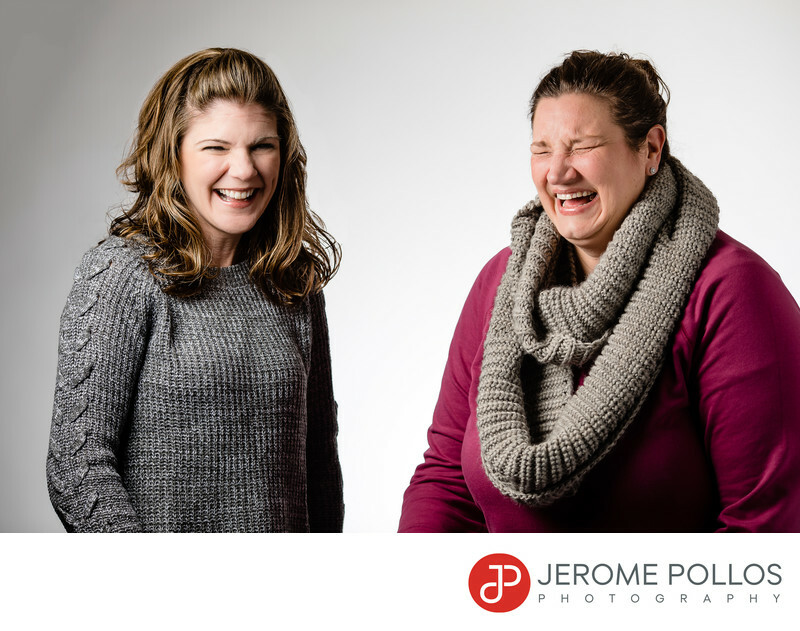 "If you’ve seen Jerome’s portfolio, you see that he’s an amazingly skilled photographer! But what you can’t see is his skill when it comes to working with people—their vision, self-image, desires, and anxiety. I worked with Jerome for a professional headshot. Not only did he communicate with me ahead of time to share best practices for what would make my headshot most effective, he also noted that I was anxious in front of the camera. We chatted comfortably for early shots (he even played some of my jams in the studio :) to help me gain confidence until the shots became natural. Every step of the way, we looked at photos and decided what I liked, what I didn’t like, and why, making adjustments until I found the image that was naturally and perfectly me! Jerome is a professional in every sense of the word... both as a talented photographer and by understanding the people he sees through his lens." "I have had the pleasure of utilizing Jerome's service twice so far and each time has been nothing short of amazing. For my wedding, we was able to capture the overall kinetic energy and emotions of that wonderful day. Every time I review his shots it instantly takes me back to that day, and that never fails to make my day that much better. In addition, for someone as nervous and anxiety ridden as myself, he was always full of good advice when it came to navigating the day itself. You really cannot put a price on getting some guidance that helps lessen the stress of a wedding day. Most recently, my family and I completed a session with him to celebrate the addition of our first born, and the results are breathtaking. We had an afternoon of laughs and smiles and he just made the day FUN. Jerome provides more than just photographs, he brings out happiness and good vibes throughout the process and his finished works more than reflect that. He is just a good all around guy and I couldn't recommend him more." 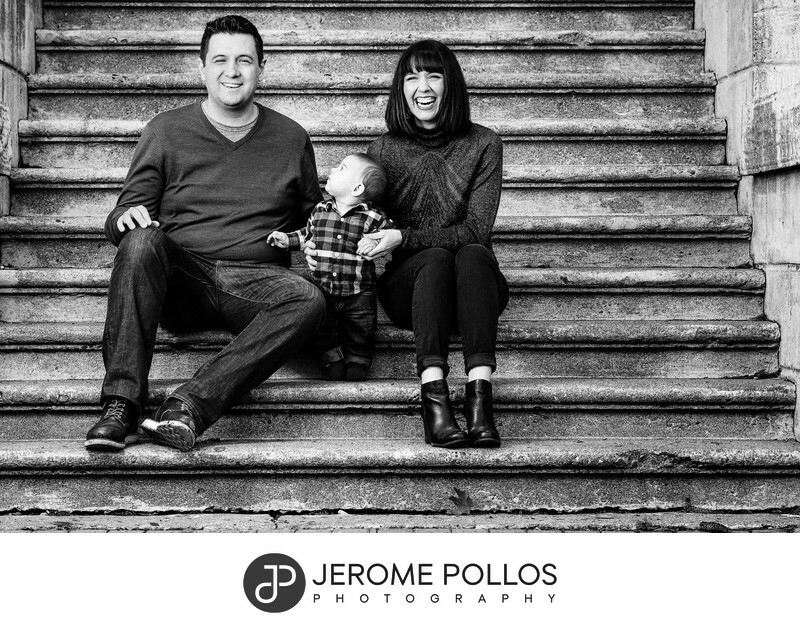 "We have had the privilege of having Jerome photograph or engagement photos, wedding photos and more recently our family photos. We actually drove from our home in Portland, Oregon to Eastern Washington to make sure we could have Jerome take our family photos. Jerome has consistently exceeded our expectations in the quality of work he produces, his professionalism and just what an all around good person he is. He loves what he does and it is evident during the entire shoot and when he is editing and finalizing the images. 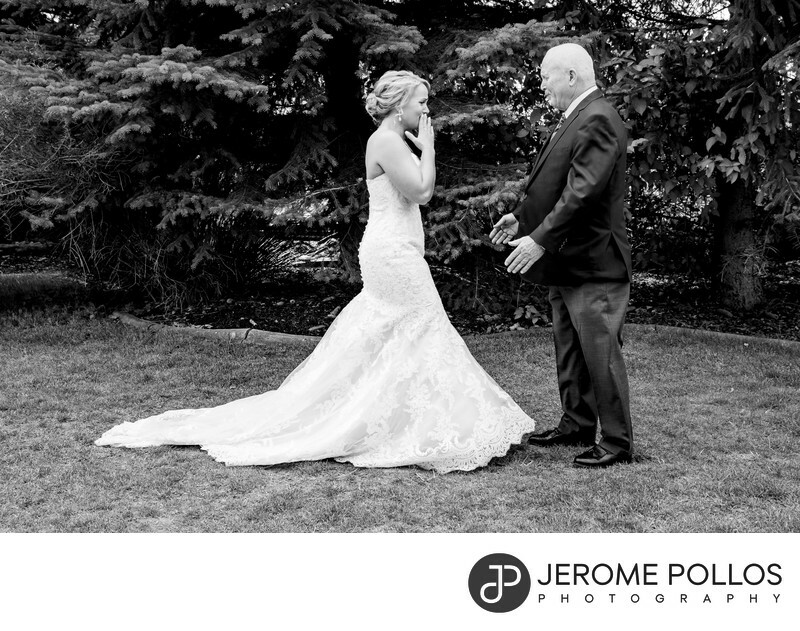 I would without hesitation recommend Jerome for any of your photography needs." 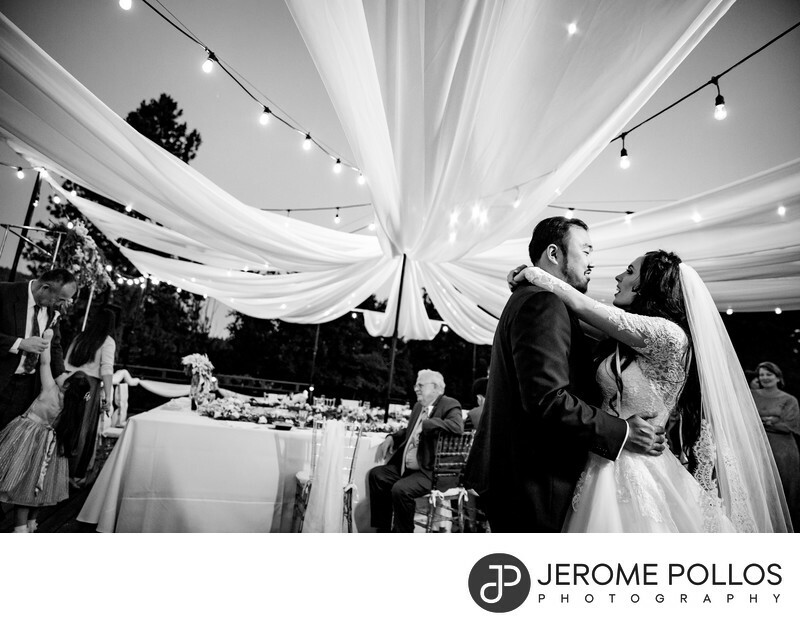 To read more wedding reviews, head over to my WeddingWire listing where a number of past couples have provide insight to their experience with Jerome Pollos Photography.